With the clash of two very rateable galas over this weekend a toss of the coin chose the destination. 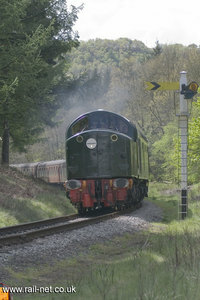 The North Yorkshire Moors Railway won. Pictures of the Mid Hants can be found on Jimbo’s, Sprogs, Mr Wimbush’s or even Marc F's sites.